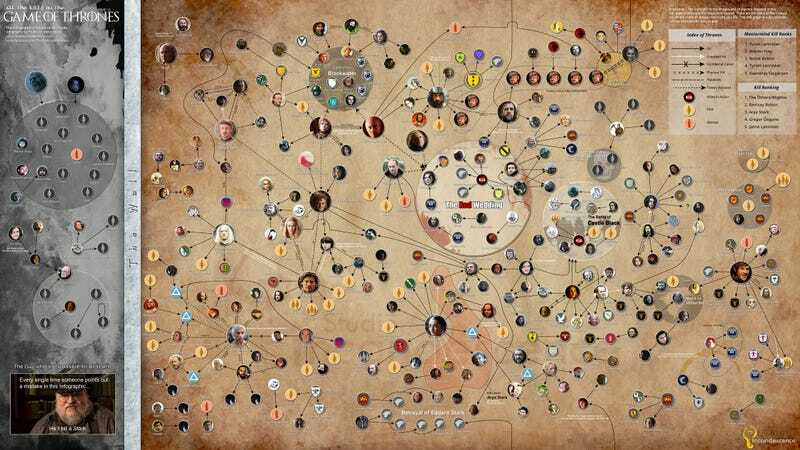 While you endure the long wait for the next season of Game of Thrones, expand this image by Studio Incandescence and get lost exploring all the killings* in the series. But beware, if you're only watching the TV series, it contains spoilers from the books. * Plus all the attempted assassinations, relations and people falsely accused of killing others. Fun!